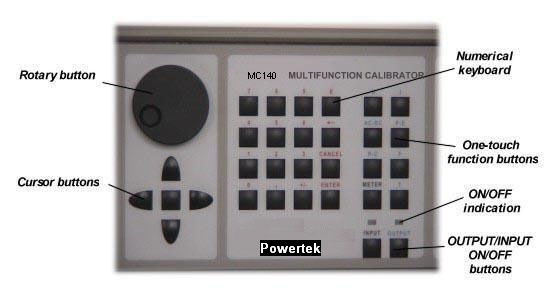 The Multifunction Calibrator MC140 functions as a Voltage Calibrator, Current Calibrator, Power Calibrator, Resistance Calibrator, Capacitance Calibrator and a Thermocouple Calibrator. Its high accuracy and precision means it is ideal as a calibration standard in calibration laboratories. It also has the feature of supplying several different waveshapes in additional to its sinusoidal output. 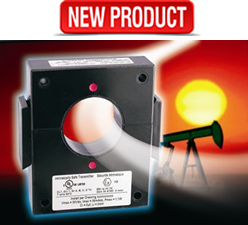 This feature makes it ideal for testing meters which are true rms reading or crest factor sensitive. These signals are also suitable for the basic calibration of oscilloscopes. The calibrator has the capability of measuring temperature with TC and RTD temperature sensors. 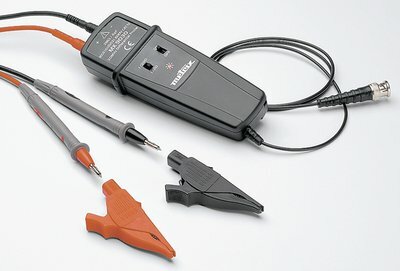 A built-in multimeter can be used independently or in simultaneous operation with the calibrator output. When option 130-50 Current coil is used, add uncertainty 0.3 % of the set current to the value specified in the above table. Output current is multiplied by factor 50. Maximum allowed voltage on the load is 8Vpk. Setting time in energy mode 10s - 1999s. Uncertainty of AC power depends on set value of voltage, current, phase. The best uncertainty is 0.08%. Uncertainty in energy mode depends on set value of voltage, current, phase and time. The best uncertainty is 0.09%. 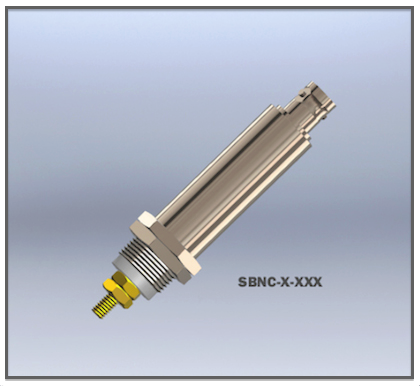 SGS (strain gauge sensor)* depends on sensor 0.01% + 10µV + sensor unc. In the Voltage Calibrator mode, the Multifunction Calibrator generates DC/AC voltages up to 1000V and in the Current Calibrator mode it generates DC/AC currents up to 20A. Using a 50-turn transformer, the AC current range can be extended to 500A. The best accuracy of the calibrator on DC voltage ranges is 0.0035%, on AC voltage ranges 0.03%, on DC current ranges 0.013% and on AC current ranges 0.055%. The frequency range is from 20Hz to 50kHz. 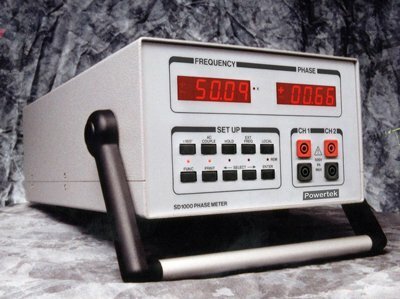 The calibrator can generate periodic non-harmonic signals with a defined crest factor. 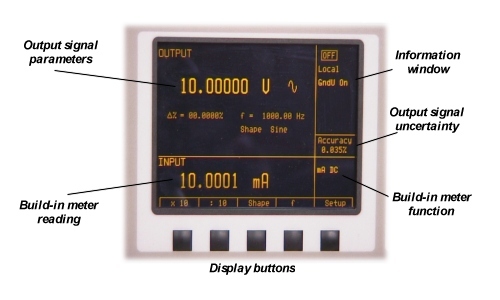 Such signals can be used to test the sensitivity of multimeters to distorted signals. The Multifunction Calibrator simulates both resistance and capacitance. The resistance range extends to 50MOhm and the capacitance range is from 1nF to 50µF. The precision of both quantities is sufficient for the calibration of commonly used hand-held multimeters. The basic accuracy of the resistance ranges and capacitance ranges is 0.03%, and 0.5% respectively. The resistance calibration may be used with both DC and AC signals up to 1kHz. The frequency function of the calibrator makes it possible to generate a square wave signal with adjustable and calibrated duty cycle, frequency and amplitude in the range from 1mV to 10V in the frequency band up to 10kHz. In the HF mode a square wave signal up to 20MHz with a fast risetime can be generated. The frequency function is suitable for calibration of frequency ranges in multimeters, and for calibration of the channel sensitivities and time bases of oscilloscopes. 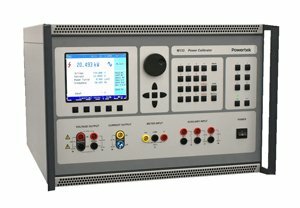 In the Power Calibration mode, the MC140 can be used as a source to calibrate DC and single-phase AC watt meters, power analyzers, and energy meters. In this mode, the output voltage can be set up to 240V, the output current up to 10A, and the power factor from -1.0 to +1.0 lead/lag in the frequency band from 20Hz to 400Hz. The current capability of the voltage output is 30 mA so that analog watt meters, which usually have lower input impedances at their voltage input, may be calibrated. For calibration of thermometers and temperature regulators, the temperature function is simulated by the Multifunction Calibrator. It is able to simulate all commonly used Pt and Ni resistance sensors as well as TC sensors of R, S, B, J, T, E, K and N types. Compensation of the TC cold junction is made either by entering a value from the keyboard, or automatically by measuring the ambient temperature with a Pt-100 sensor. The precision of the simulated resistance and TC sensors depends on set value and type of the sensor. For resistance sensors the uncertainty band is in the range from 0.04°C to 0.5°C, for TC sensors from 0.4°C to 4.0°C. 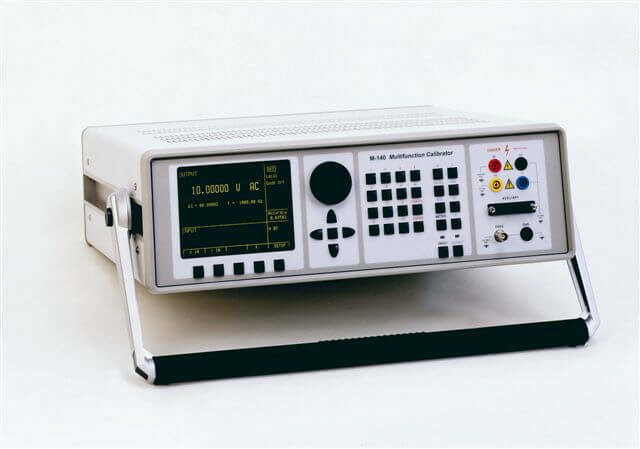 The Multifunction Calibrator can be used both as a precision signal source for a device under test and as a meter to measure the resultant voltages generated by the device. Programmable capability of the calibrator enables the user to set a 10 steps sequence testing procedure. The testing can run automatically, upon completion, PASS/FAIL status is displayed. 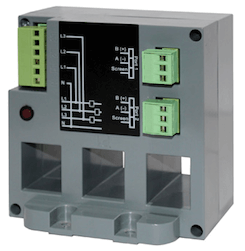 With the testing function, isolated relay contacts activated by the FAIL indicator, make it possible to control other equipment. An internal multimeter with basic ranges of 20mA, 200mV, 10V and 2kOhm is a standard feature of the Multifunction Calibrator. With an accuracy of 0.01%, it enables the user to measure the output signals of various types of transducers. With external strain gauge sensors, pressure, torsion, strength, etc. can be measured and displayed. The MC140 Calibrator is equipped with a number of other functions which make it extremely easy to use. Among them are capabilities to set relative deviations from the actual value of the selected output signal, the continuous display of the output signal uncertainty, and the internal calibration procedure. The large, easy to read, comprehensive luminescent display contains all of the necessary information to set up any of the Multifunction Calibrator's functions. In addition, frequently used functions have specific keys assigned to them. The calibrator is equipped with the IEEE-488.2 interface and with the RS-232 serial interface. Test cable for built-in multimeter, 2 banana terminals for DC voltage and current measurement. Test cable for built-in multimeter, 4 banana terminals for resistance measurement as well as Pt/Ni sensor temperature measurement. 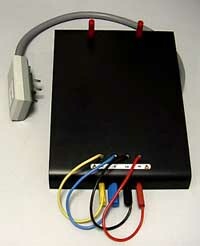 4-wire resistance adapter. 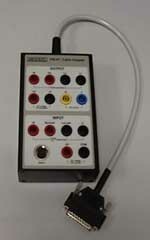 The adapter provides a four wire return to the calibrator for making resistance measurements. Current coil 25/50 turns, simulating 1000Arms. 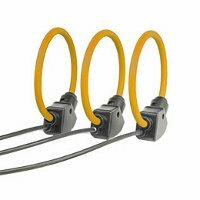 Suitable for clamp-on current transformer testing. 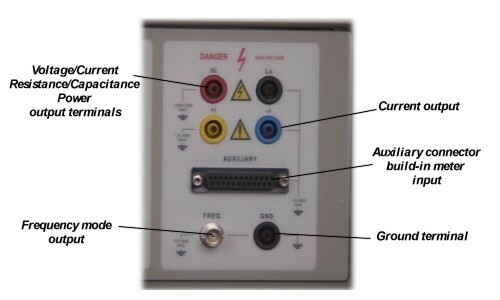 The adapter provides support for the meter under test as well as a simple cable connection to the calibrator front panel terminals. 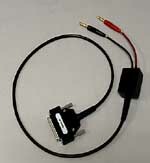 The Adapter is equipped with a built-in Pt-100 temperature sensor. The internal meter can measure ambient temperature and display it on the screen and automatically make cold junction compensation when the TC temperature sensor simulation is selected. Cable adapter for simultaneous applications. 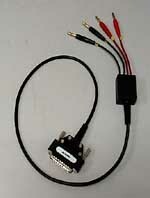 Cable adapter is designed for low-voltage/current applications of 20Vdc and 200mAdc, two ranges of the adapter. The first contains terminals with the calibrator output signals, the second contains internal multimeter input terminals. Various calibration tasks can be fulfilled with the adapter, especially measurements where simultaneous generation of the calibrated signal and response of unit under test are required. 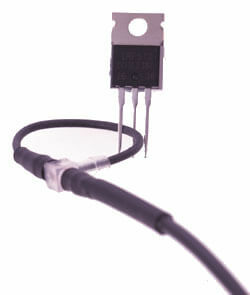 With the adapter, temperatures of external TC temperature sensors can be measured and displayed.